From Japan #4485. - No dust, fungus, haze, balsam separation or scratch. Mount Type: For Hasselblad 500 Series. There are a few tiny scratches on surface of the front lens. Lens is fairly clean. It has a few tiny dusts. When light is hit, There is thin fungus (like very tiny dots) on inside of the lens. 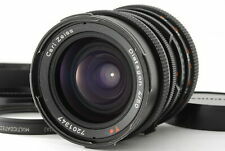 Hasselblad Carl Zeiss Distagon T* 50mm F4 CF FLE Lens from Japan. The lens appear to be beautiful and clean. It is a chance to be able to buy the product of special condition directly from Japan. Yes : Porch. I send a product by EMS. As for the condition of the optical system.